I know I've said it before, and I'll probably say it again, "Roosters rock!" Poor roosters get a bad rap. If you've ever been chased or flogged by a mean/bad rooster, then you know what I mean. I have been blessed to raise all my roosters from young chicks and I really can't imagine having a flock without them. Seriously, there are definite pluses if I didn't have roosters. There wouldn't be that LOUD crowing at ALL hours of the night and day. The hens wouldn't have bare backs. The hens wouldn't be harassed on a daily basis. Things might be a little quieter in the chicken yard. HOWEVER, I would also miss that extra level of protection from predators, the referee who breaks up silly squabbles between hens, the protector who helps keep new babies safe in the chicken yard, and finally the comedy and antics that would be missed without my roosters. To clarify, yes, I have had some bad/mean roosters that I have raised from babies. When I see that their temperament and personality is going to be less than sociable, then we don't keep them. Mine have all gone to freezer camp and been appreciated and enjoyed on the dinner table. I have had some that have been sweet, but harass the hens way too much and have not been the protectors they need to be. Those have either been rehomed or put to freezer camp. I really don't like hatching eggs for the simple reason that I know I will have to deal with rooster decisions. I want to keep them all, but of course you can't. As it stands right now, before our last hatch I had gotten it down to 7 roosters. Since this past spring due to hatches and a purchase of unsexed birds from a friend of my husband, I am back up to 14 and have more decisions to make. Four of them are pretty easy since I am completely unattached and they will simply make some good future meals. Of the remaining 3 we still want to keep 2. The 3rd of the 3 is a sweetheart but I have no where to rehome him so alas, he will be appreciated for the food he provides my family. 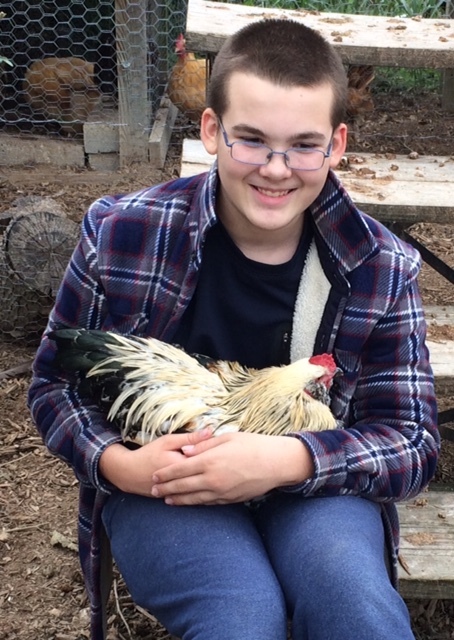 Of the two extras we want to keep, one of them is the son of a rooster we had to rehome and is no longer alive and the other has found a very special place in my heart. If all goes as planned I suspect we will end up with 9 roosters. That is still too many for the flock we have but if they behave we might pull it off. I have 3 separate pens. One pen has one rooster, another has two and my main pen with most of my hens has the other six roosters. The six roosters include our patriarch, Cedric, who is crippled and pretty much lives inside the coop now, Percival and Kristoff (brothers, Kristoff is now the main rooster), Hazel (our silkie boy who is very quiet and keeps to himself, everyone loves him), and finally our two newest Pepper and Pip (pip is the son of our other silkie roo we no longer have and Pepper has become my newest buddy). that we rehomed, but he perished. When you have a rooster who does his job, he can be worth his weight in gold. The extra protection and ability to help keep peace in the flock (except when they are acting up!! ), is invaluable. 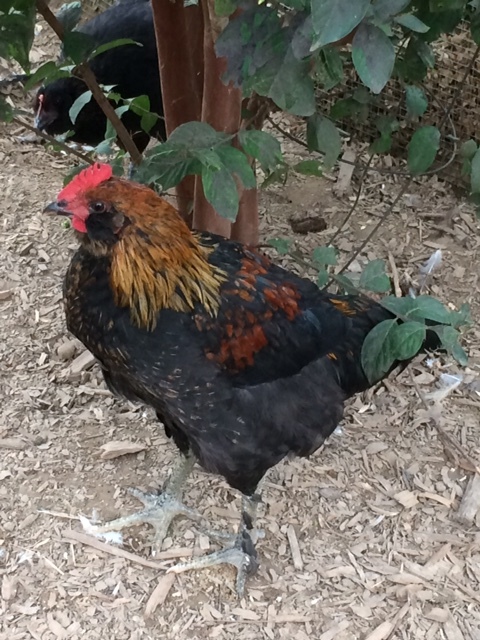 Have you had positive or negative experiences with roosters? Would you, or do you keep roosters in your flock? If you haven't read any of my previous reviews on these wonderful G.A. Henty audio dramas, or if you are not familiar with these wonderful stories, then let me introduce you to Heirloom Audio who creates these wonderful audio dramas of the stories from G.A. Henty. We were so excited to have a chance to review their newest adventure in St. Bartholomew's Eve. I received a physical 2-disc CD set of this Christian audio drama. It is created for ages 6-16 but recommended for all ages 6 and above. We popped the CD into my computer and listened away at the wonderfully dramatic retelling of this sad time in history. It was just my 9th grader and myself this time as I felt it was a little too much for my just turned 6-year-old daughter. The story begins with Mr. George who tells a story of the Huguenots. The Huguenots were French Protestants who followed the Reformed tradition. The story begins in 1567 with a young English boy who would fight in the French wars of religion, only 15 years after Martin Luther introduced his ideas on the Reformation (which became the Protestant faith). Even though the Catholic Church persecuted the Huguenots, there were some Catholics who believed as the Reformers did. Francois and Philip are two of the main characters throughout the story. As they work together to join the religious wars with the Huguenots, they survive through many battles. Several Huguenots are captured and imprisoned. Philip meets a young boy, Argento, along the way who helps in many ways. Argento leads Philip and his small army to key officials all of whom they capture as their prisoners. Philip then has them sign a document that would free their imprisoned Huguenots, including Francois. We really liked it when Philippe prays before a battle. The enemy was almost upon them but he took the time to pray and ask for protection. This meant a lot to my son. The battles continued, and even children were persecuted and hung. During one of the battles Argento is shot in the leg and a Monsieur DuBois brings Argento to Philip. Argento heals but does have to have his lower leg amputated. As the battles continue Admiral Gaspard de Coligny comes to their aid with his army. After Francois and Philip are injured in a battle, Admiral Coligny grants knighthood to Francois and Philip. King Charles' mother, Catherine, starts a rumor that the Huguenots have a plot to overtake the court, and it spreads to King Charles. Even though King Charles had promised peace, they convince him to strike against the Huguenots. He orders Admiral Coligny and his forces to be annihilated. So many Huguenots lost their lives. Philip loses Francois but Argento survives. Philip continues to fight for the cause and marries Claire and they have two children. It is a wonderful story of persistence, faith, and sacrifice. So many lost their lives to stand for their cause and belief in God and that they could interpret what God had to say to them through the scriptures and that they did not need a mediator (the Catholic Church) to dictate it to them. It goes without saying that we wholeheartedly recommend you check out St. Bartholomew's Eve from Heirloom Audio. It will keep you on the edge of your seats while teaching you yet another important story from our history. You can connect with Heirloom Audio on FACEBOOK, TWITTER, GOOGLE+, and INSTAGRAM (@HeirloomAudioOfficial). Please be sure to also check out what my fellow crew members have to say about this wonderful resource. A little too much excitement for me occurred the other day in the chicken coop. This summer we have had a few run-ins with snakes in my main coop. 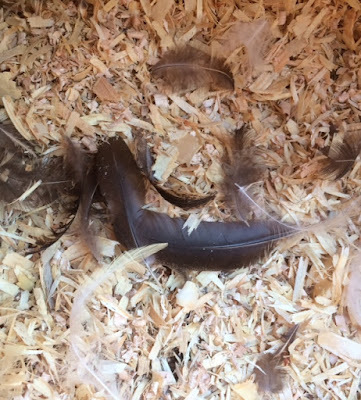 My husband has had to dispose of a couple snakes due to them being inside my chicken coop. He doesn't like snakes. At all!! I like them, as long as they mind their own business and do not eat my chickens or their eggs. I was collecting eggs a few days ago and met up almost face to face with another snake! My immediate reaction was to grab it and try to yank it out of the coop to protect my chickens and the baby that was just a few feet away. I have my Marans mama with her baby chick in the nursery that is just a few feet away from some nesting boxes where the snake had taken up residence. It didn't appear to have eaten anything yet. I failed. It had its tail end firmly secured. I only managed to tick it off. I had to close up the egg door to the nesting boxes and go get reinforcement, my son. On our second try to get the snake out we failed again, it just wasn't coming out! It crawled up deeper into the coop and in the process ate a mouse!! Yes, when I went inside to try to get a better look and try to dislodge it I caught it with a mouse in its mouth. It ate it very quickly! Then it holed itself up in the crevice you see above. I told my son we would just have to come back later after it had calmed down and maybe come out of the hole. I was hoping the chickens would be fine since it had just eaten the mouse. On my way back to the house I heard the hens making a big commotion. It occurred to me when I got to the back door that perhaps the snake was on the move. I hollered at my son to come back out and help. By the time I got back to the coop, my son had already ushered the snake outside and had lost it. I can't believe how fast that snake was! We were pretty confident the chickens were in the clear. I just really do not know how it is getting into my run and coop. Or how it got out so fast! I generally collect eggs anywhere from 2 to 3 times per day so that generally hasn't been a problem with any snakes. I also wonder how these snakes keep getting past my roosters! We're pretty confident it was just a rat snake. We do have copperheads and even saw a water moccasin a few weeks ago!! So far I'm pretty sure all the snakes we have seen around the garden and coop have either been garter snakes or rat snakes. I like the rat snakes so they keep the mouse population down. I just wish they would stay out of the coop and keep to the area around it and the garden (of course I don't like coming across them in the garden either!). What excitement is going on at your homestead? What a blessing it was to review Books of the Bible At-a-Glance by Teach Sunday School. I received a digital download in PDF form of their one-page reference sheets for all 66 books of the Bible. You can reference the sheets on your electronic devices or print it out and bind it like I did. I liked the colors also so I printed it in full color. I really like the way the pages are laid out. Clean, simple and concise. You can easily see who authored it, when it was written, and time period covered. I really like the listing of famous stories covered. My kindergartner just LOVES the stories of the bible and can spout them out for you like no other, but does she really know what book they come from? This will be such an invaluable tool going forward for her in her Bible lessons. The wonderful concise review of each book has been wonderful to go over with my (gasp) now 9th-grade son. Is he really in high school already? Where does the time go?? There are so many ways you can use this resource. Several ways are suggested in the introduction to the resource (all included as part of the PDF download). The copyright allows you to print multiple copies to use with your students. I am going to print another copy for my son to keep in his resource area. Some common ways to use this are as a stand-alone Bible lesson resource to go through each book of the bible or in conjunction with whatever Bible program or study you are currently going through. Since we have always had Bible lessons every year in our homeschool, I am currently using this with my crew as a general overview and review of the Bible in general. Even though we have done many different studies, we have not ever just covered each book in the manner that these pages cover. We have done things individually, but not all together as a general overview of each book. I really like the section on "famous stories included." I am finding that we are not always accurate in naming the book a particular story came from! This has also been a wonderful reference for my kindergartner that I am currently taking through a curriculum that we previously reviewed this year and I ended up purchasing the entire years worth of lessons. The timing for this review on books of the Bible was perfect! If you would like a simple, concise resource for studying each book of the Bible I suggest you check out Books of the Bible At-a-Glance by Teach Sunday School. I am finding it very easy to use and it is so flexible to use in whichever way you choose that works for what you are currently doing in your Bible lessons. You can connect with Teach Sunday School on FACEBOOK, PINTEREST, INSTAGRAM, and YOUTUBE. Please also be sure to check out the reviews from my fellow crew members to see what they have to say by clicking on the graphic below.